It’s an Obama world… Gas prices are soaring above $5 per gallon and green light bulbs cost you $50 each. Gas in California is above $5 per gallon. 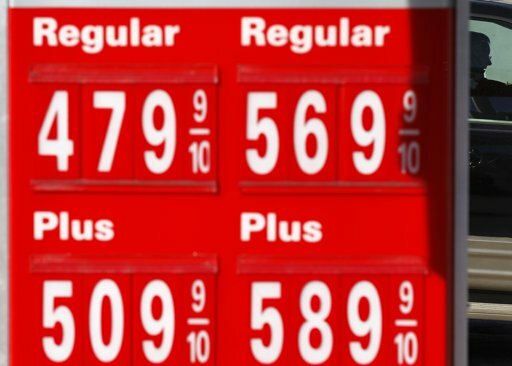 As gas prices continue to soar, Barack Obama’s approval rating continues to slide. US President Barack Obama’s job approval rating, weighed down by soaring gas prices, has plunged below 50 per cent, giving his political opponents what appears to be an opening in the November election, a new opinion poll showed. The survey by ABC News and The Washington Post indicated that only 46 per cent of Americans now approved of the way Obama is handling his job and 50 per cent disapproved. The situation was a reversal from early February when 50 per cent approved of the president’s performance and 46 per cent disapproved. According to the survey, the drop was attributed to soaring gas prices threatening to crimp America’s slow recovery from a recession. The American Automobile Association (AAA) predicts gasoline prices across the United States could average $4.25 (S$5.33) a gallon by May, up from over $3.60 (S$4.52) today. Between 1998 and 2004, prices ranged from $1 to $2. Prices vary wildly between regions, however, and last week, gasbuddy.com, a website that tracks prices in all 50 states, reported $5.09 a gallon at one Mobil and two Chevron stations in greater Los Angeles. Given that 76 per cent of Americans drive themselves to work, and a trip to the store can often mean a long drive to the mall, higher gas prices are a critical issue – especially in a presidential election year. The polls also found that 59 per cent of Americans had given Obama negative ratings on the economy, and 65 per cent disapproved of his handling of the gas price situation. Of course, it should be noted that Barack Obama and senate Democrats blocked the Keystone Pipeline again last week.